No matter how good your skin is, it always requires attentive care. Without your support, it soon begins to lose its beauty. Nowadays, big cosmetic companies sell various care products. All of them are suitable for a particular type of skin and distinct purposes. 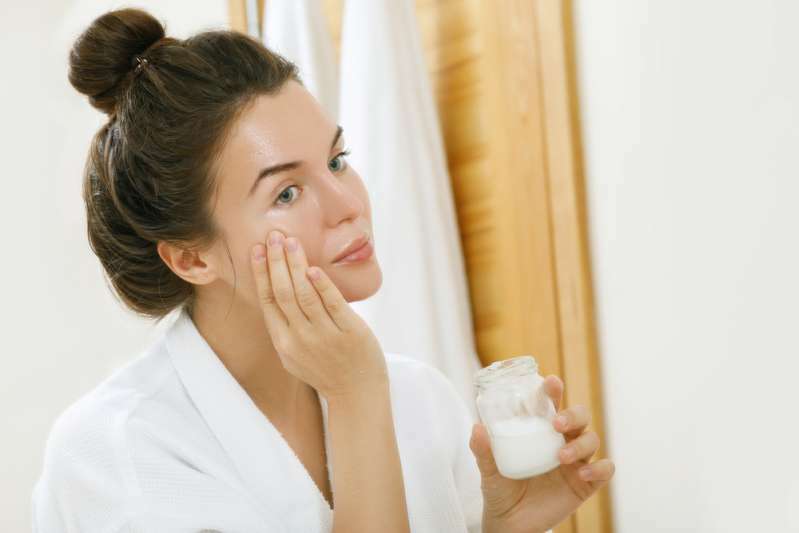 Therefore, it is important to understand what moisturizing cream is a must in your cosmetic bag. Today, we want to talk about oils and their effects on the skin. We offer you 4 categories of oils, each including 4 different types. Keep in mind that oils shouldn’t replace creams – they should serve only as an additional means to improve your skin condition. Argan oil is rich in vitamin E and essential fatty acids. Acai oil contains antioxidants that help protect the skin from harmful free radicals and cell oxidation. 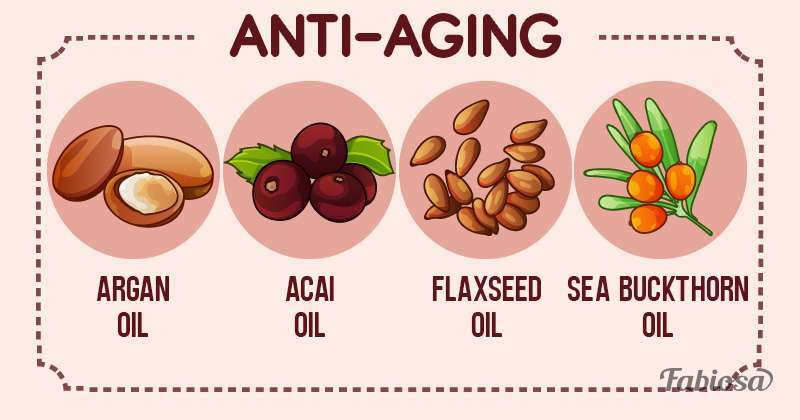 Flaxseed oil softens the skin, providing it with essential fatty acids. Sea buckthorn oil contains omegas 3, 6, 7 and 9 fatty acids that are beneficial for the skin. Olive oil contains vitamins A and E, which help restore and renew the skin. 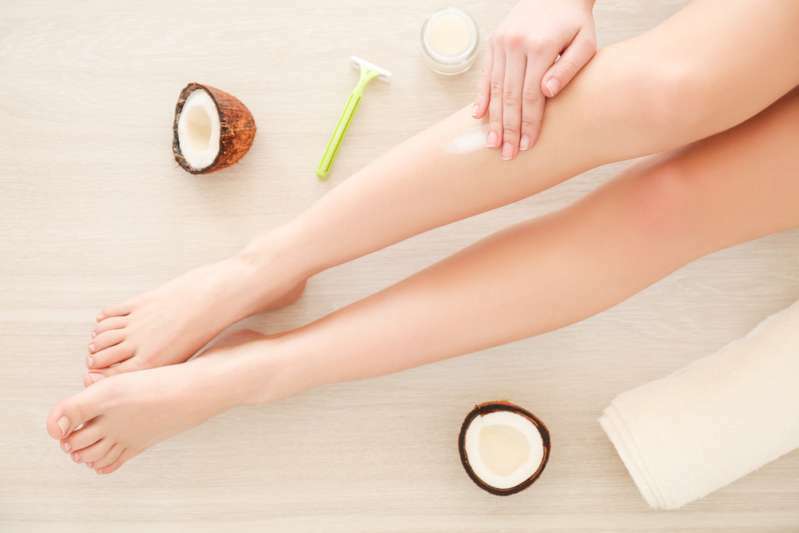 Coconut oil helps reduce the number of bacteria on the skin. Brazil nut oil possesses a high content of selenium, which is a perfect antioxidant. Avocado oil is rich in vitamins, fatty acids, and antioxidants, especially vitamin E.
Tea tree oil provides antiseptic protection, which can help fight acne. 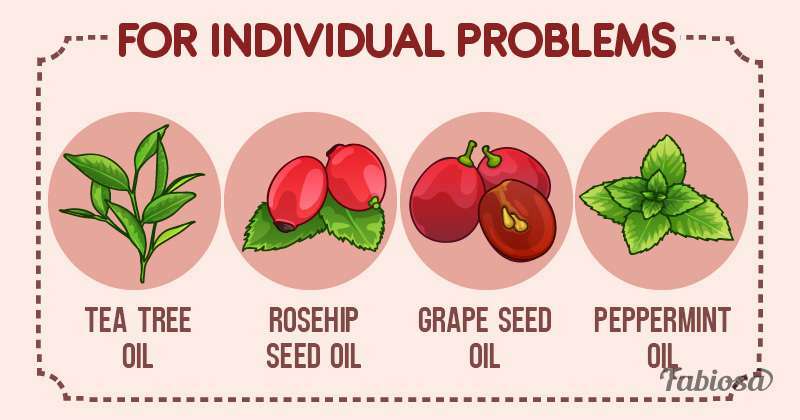 Rosehip seed oil is rich in fatty acids and vitamin A, which helps get rid of scars. Grape seed oil is great for oily skin. It eliminates greasiness with vitamin C.
Peppermint oil relieves redness and provides anti-inflammatory protection. Chamomile oil provides anti-inflammatory and antiseptic protection, soothes the skin, and fights infections. Blackcurrant oil is rich in fatty acids and has an anti-inflammatory effect. 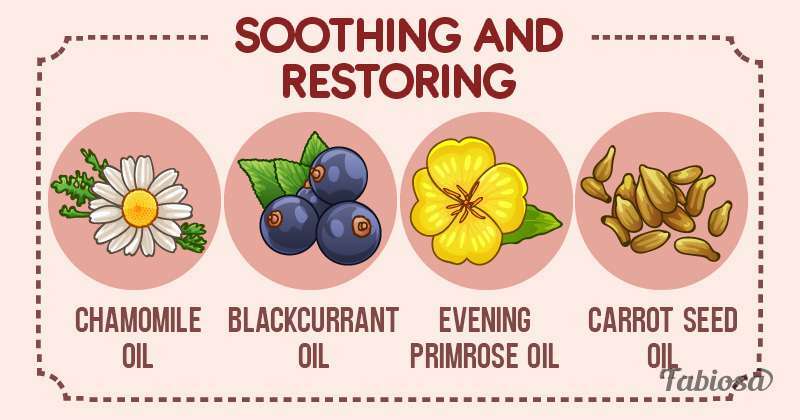 Evening primrose oil is used to combat eczema. Carrot seed oil is rich in vitamin A, beta-carotene and softening elements that help normalize the turnover of skin cells and provide a soothing effect. Now you know about the effects of 16 oils, so you can choose one or a few for yourself according to your needs. Make sure that you aren’t allergic to these components. 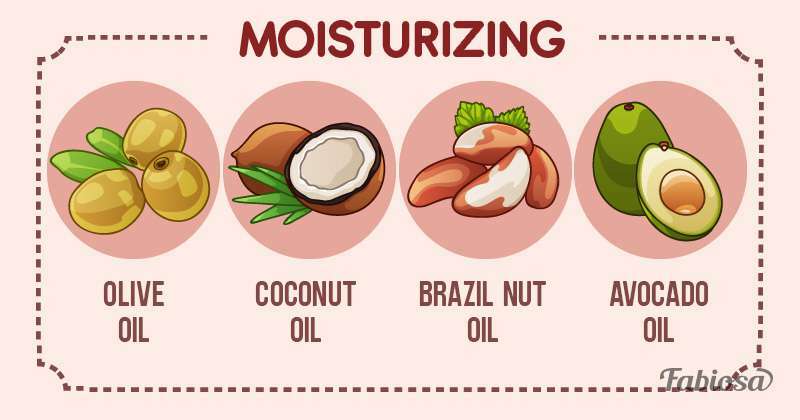 And don’t forget to use a moisturizer to keep your skin well-groomed!